Almost everyone we know is open to the idea of installing solar panels on their home. Renewable energy is becoming more and more appealing to the general public, not only because of the positive impact it has on the environment, but also because having solar panels installed can significantly lower your utility bills every month. Over the past decade, the cost of installing solar panels has dropped drastically. What used to cost you over $50,000 will probably cost you less than $20,000 now. If you’re wondering if having solar panels installed on your home is worth it, ask yourself the following questions. How much does energy cost where you live? Some states have higher costs of energy than other states do. No one wants to pay a hefty electricity bill, so evaluate what your current utility bill is like every month. For example, in Massachusetts, you’ll likely pay 21 cents per kilowatt per hour, whereas in Kentucky you’ll pay less than 10 cents per kilowatt per hour. Evaluate how much energy costs where you’ll live, and how quickly the cost of solar panels would pay for themselves. Is your roof equipped to handle solar panels? There are a handful of different factors that indicate whether or not your home is an optimal candidate for solar panels. Frequent sunlight is important, as well as the position that your home faces(south, southwest, and southeast are the best for solar panels), but things such as chimneys and other obstructions causing shadows over the solar panels may hinder the success of your new solar panels. Are there financial initiatives in your state for solar panels? Some states, such as New York, offer tax credits to those who buy(instead of lease) solar panels for their home. You can claim a tax credit for 30% of what your home is worth on your federal tax return, if you live in one of the 14 states with these financial initiatives. If you live in one of these 14 states, that’s an average of a $6,000 return on a $20,000 home solar system. 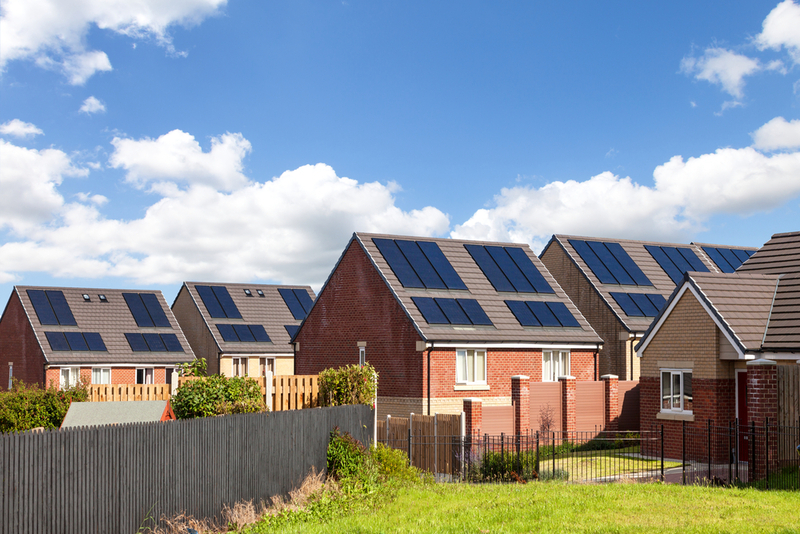 Should you get home solar panels? Ultimately, at the end of the day, the decision of whether or not to get home solar panels is a personal one. Your location and potential financial benefits can help you determine whether or not it would be beneficial. Give us a call to get a quote on home solar panels today!